Park at our own parking garages Neumühlequai and Wasserwerkstrasse, alternative parking is also available at Sihlquai or Unterstrass. Zurich unites creative city life and idyllic scenery within the smallest of areas. Art connoisseurs and culture enthusiastics have over 50 museums and more than 100 galleries to choose from, while inquisitive city explorers can discover the striking contract between picturesque Old Town and the modern, constantly changing urban quarters. Nature lovers seeking fresh air and green open spaces will delight in the city’s location directly by the lake, in its abundant expanses of forest parkland, and in its very own mountain, the Uetliberg. 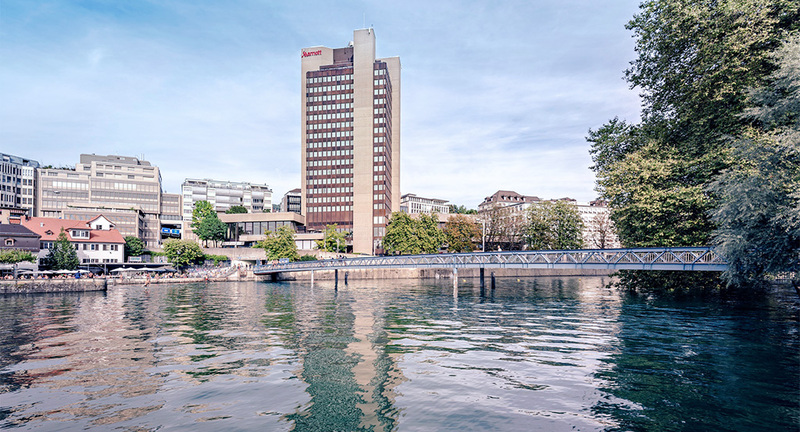 In addition, the vibrant nightlife, offering the widest choice of entertainment facilities in Switzerland, is perfectly suited to night owls and young-at-heart (@Zürich Tourism).